Late check out (after 11:00 AM and before 7:00 PM) may result in a fee. If you cancel your booking 48 hours or more before your arrival date - no fee will be charged. If you cancel your booking less then 48 hours before arrival date or in the event of a no-show - the total of the first night's accommodation will be charged to your payment card. Hostel reserves the right to hold the amount for the first night prior to guest's arrival. If your booking is made by this rate - the total ammount for your stay may be charged anytime after booking. If you choose to cancel your booking, or in the case of a no-show, you will still be charged the full cost of your booking. Your reservation may be cancelled in case we will be unable to charge your card. Hostel reserves the right to hold the amount for the first night prior to guest's arrival. City tax is not included and will be charged upon check in depending on the daily rate (from 8.35 UAH to 20.87 UAH per person per night) according to the legislation. Breakfast is not included. It can be ordered by surcharge at cafe DRUZI (located on the ground floor in the property). Please note that for the group bookings for more than 8 people different prepayment policies may apply.The hostel has a right to charge the prepayment from the card. Large groups (more than 30 people) is a subject to availability. The Hostel Manager reserves the right not to accept large groups, depending on the individual situation (availability, number of nights etc) or to charge the non refundable prepayment. Please contact the property directly for the group reservation details. 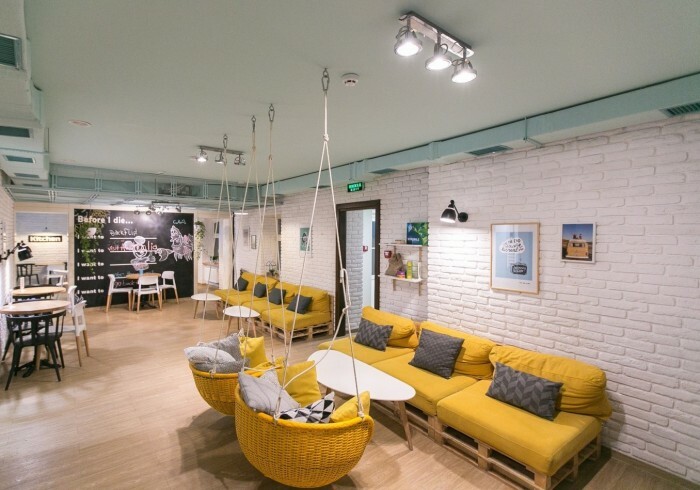 DREAM Hostel Lviv is the biggest modern hostel in Lviv that combines high standards of a hotel and cozy atmosphere of a hostel. It’s the only hostel in Lviv with its own Café & Bar - DRUZI - where you can order breakfast or spend a wonderful evening. Our Hostel is located only few steps from the Rynok square (main square of Lviv), so you can easily access all of the main tourist attractions by foot. Address 1: 5 Krakivska str.